Harringtons has six bedrooms all decorated to a contemporary style whilst maintaining the charm of a Victorian Town House. All rooms have high quality en-suite shower rooms with complimentary toiletries. Rooms also have flat screen TV/DVD/CD, hairdryer, alarm clock, tea & coffee making facilities, and our deluxe rooms have the added benefit of bathrobes, trouser press and personal room safe. Room 1 is on the first floor and is at the back of the house. 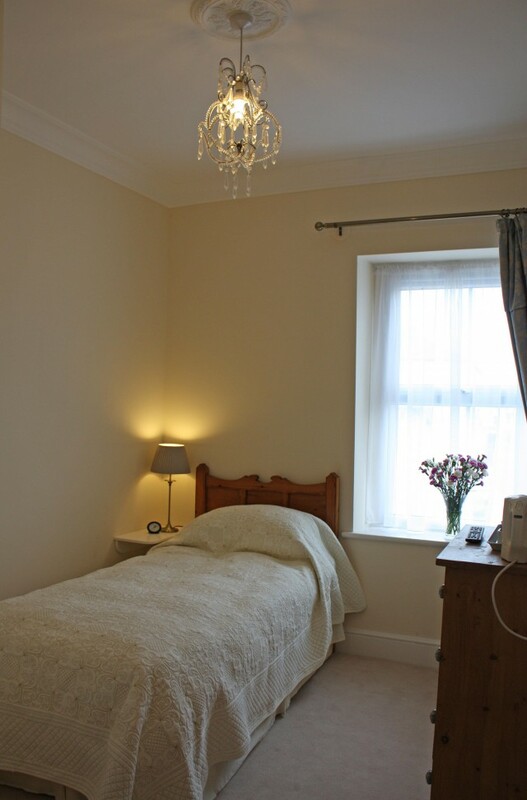 This room is situated on the first floor and is at the front of the house overlooking Chapel Street. As one of our 2 larger rooms it has a King Size bed and other extras, including bath robes and a trouser press. This is a standard double room on the second floor at the back of the house. This is a standard double room like rooms 1 and 3 but is slightly smaller and this is reflected in the nightly rate.